Very tasty one. Squid requires little more cooking time, but worth trying. I learned this tasty recipe from my Mother In Law, Mrs.Creda Isaac. Pressure cook squid pieces with 1 tsp chilli powder,1/2 tsp turmeric powder, 1 tsp salt and 2 cups water for 20 mins. Turn off the flame. Take a non stick kadai, heat oil and saute saunf, onion slices, tomato slices,curry leaves,coriander leaves,ginger-garlic paste,cooked squid pieces (along with remaining water), 1 1/2 tsp chilli powder ,1/2 tsp turmeric powder and 1 tsp salt. Mix all well and cook till the masala becomes dry. 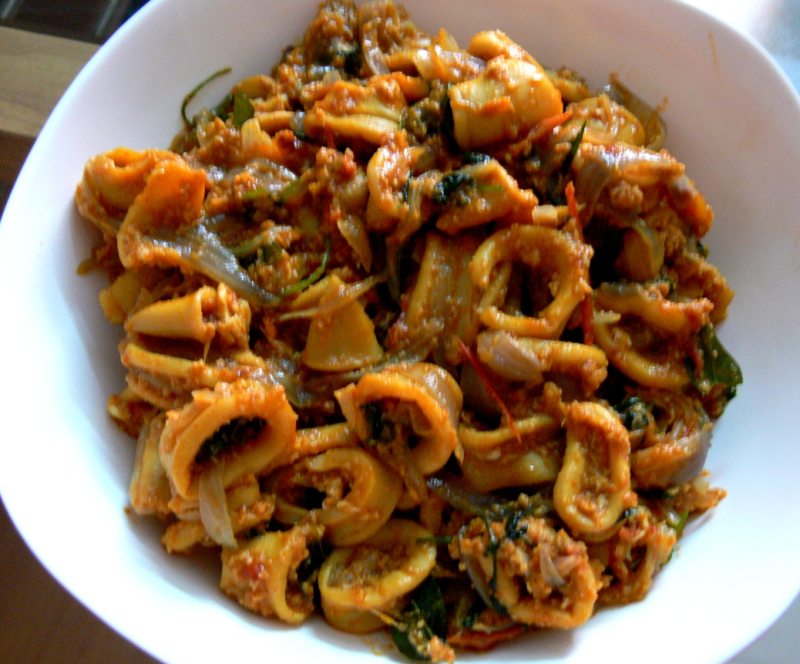 Tasty Squid Masala is ready to be served with chapathis, Idli,Rice etc. Thank u so much,Lydia!.U can try this adding ur fav curry powders (with the given Masala) too. Hi, Christy, I tried this, it was really tasty, thanks.